The ignition switch must be in ON to use the seat heaters. 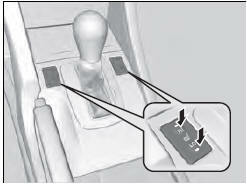 The HI setting heats the seats faster than the LO setting. 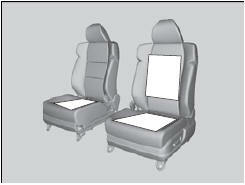 There is no heater in the passenger’s seatback due to the side airbag cutoff system. - The appropriate indicator will be on while the seat heater is on. Briefly press the button on the opposite side to turn the heater off. The indicator will be off. When a comfortable temperature is reached, select LO to keep the seat warm. In the LO setting, the heater runs continuously and does not automatically turn off after a period of time.